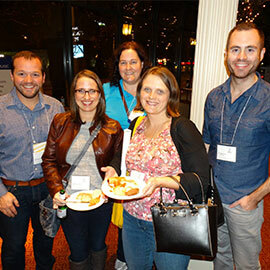 Please join us during the Ontario Music Educators Association (OMEA) Resonate Conference in Niagara Falls for an alumni reception on Friday, Nov. 4 from 7 p.m. to 9 p.m. The reception will take place in the Hennepin North room in the Marriott on the Falls Hotel. The reception is open to all Faculty of Music alumni attending the conference or living in the Niagara Falls area looking to reconnect with fellow alumni, current students, or Glen Carruthers and Music Education Coordinator Lee Willingham. Register now to receive updates on this event. Registration is not mandatory.